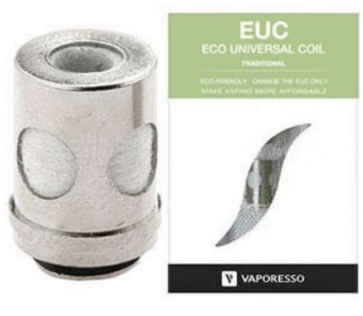 Great value 5 pack of Vaporesso Veco Solo Eco Coils. Easily insertable into your device, you can change them without the metal casing, benefitting from the Veco's economic design. Stock up today and have peace of mind you'll always have the equipment you need to vape. Eco-friendly as you're only changing the EUC, you're also doing you bit for the environment! 0.2ohm, 70 w. Secure and discreet delivery.